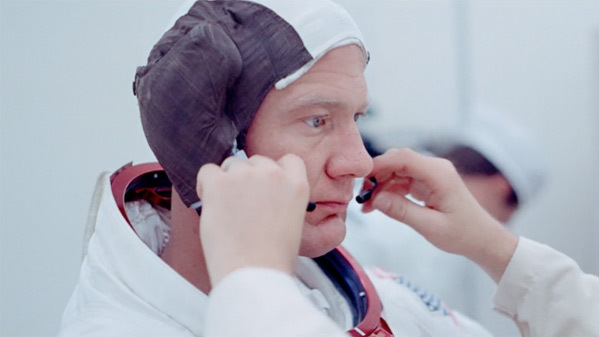 "50 years in the making…" Neon and CNN Films have released the first teaser trailer for a new documentary titled simply Apollo 11, from doc director Todd Douglas Miller (Gahanna Bill, Dinosaur 13). This feature film is made up entirely of never-before-seen large-format film footage of the Apollo 11 mission to the Moon. Here's to hoping this will get a full-format IMAX release, because yes please. Neon announced the news coinciding with the 49th anniversary of the 1969 landing on the Moon (they landed on July 20th, 1969) by mission commander Neil Armstrong and pilot Buzz Aldrin. This is also most definitely a tie-in with Damien Chazelle's new film First Man, about Neil Armstrong and the Apollo 11 mission, though there's no mention in the press release (different studios, makes sense). I'm a big space nerd - can't wait to see more from this. Apollo 11 is the cinematic event fifty years in the making. Featuring never-before-seen large-format film footage of one of humanity’s greatest accomplishments. The film features never-before-seen, large-format film footage of one of humanity’s greatest accomplishments. The film is executive produced by CNN Films, which will retain the US television rights, and is produced by Miller’s Statement Pictures. Apollo 11 is directed by American filmmaker Todd Douglas Miller, director of the documentaries Gahanna Bill and Dinosaur 13 previously. Neon and CNN Films have partnered on the release of this documentary, which will open in cinemas first before airing on TV. No release date has been announced. For more info and updates, visit the doc's official website here or follow on Twitter @apollo11movie. Stay tuned. Who's excited for this?